“Muslims are terrorists, and refugees might bring terrorism to Greece,” a seventh-grader says loudly to her friends during a class break. Mohammed, an Iraqi-Syrian refugee, sits just a couple of meters away. While situations like this do not occur often, they are an indication of the struggles for integration that affect refugees in the Greek education system. According to UNHCR, the UN Refugee Agency, as of January 2018, there are 50,370 refugees and migrants in Greece. A total of 39,100 of these refugees live on the mainland and 11,270 are in the so-called hotspots on the Greek islands. There are roughly 20,300 children of school age in Greece and less than half are enrolled in formal Greek schools. The education sector faces problems with regard to refugee children’s integration in Greek schools and a gap persists in meeting the needs of youngsters who have missed years of schooling due to conflict or displacement. Children aged between 6 and 15, living in dispersed urban settings (such as relocation accommodation, squats, apartments, hotels, and reception centers), may go to schools near their place of residence, to enroll in the morning classes alongside Greek children, in schools identified by the Education Ministry. The Delfe family believe in the value of education above all else as they feel it is a practical way to integrate into Greek society. Emad, an Iraqi, moved to Syria in 1998 after he felt “political problems brewing,” and the opportunity for a stable job was not possible in Baghdad. His desire to avoid war at all cost and build a better life for his future family led him to Damascus, where he would become a successful businessman and marry his Syrian wife, Wassmiya. Unfortunately, the Syrian civil war forced his family to flee back to Iraq after Syria became “unlivable” in 2014. After spending a year living near Baghdad where every night there were countless bombs dropping around them, the sound of bullets, and death threats to his family and business, Emad decided it was time to flee to Europe for a life without war for his family. Two years ago, the family fled Syria via Turkey and then crossed the waters of the Aegean Sea to the Greek island of Chios. Wassmiya prioritizes her children’s education. She believes it is a gateway to freedom of thought and expression, two things they were deprived of living in Syria and Iraq. The Delfe children, Mohammed, Ahmed and Roukaya, do not miss one day of school, even though the trauma they suffered in the war keeps the eldest children awake at night. The eldest, Mohammed, is in seventh grade. Despite attending school for two years, he has had minimal improvement in learning Greek and struggles to understand his teacher. He does not read, write or comprehend Greek at a seventh-grade level. In fact, he compares his level of Greek to that of a first-grader and feels marginalized in the classroom because of his scant knowledge of the language. The teacher does not give him homework or tests and efforts to arrange alternative material for Mohammed to acquire basic language skills are nonexistent, which further drives the feeling of alienation. Ultimately, during lessons, the teacher provides him with two choices, staying in class and listening, but understanding little to none, or going outside to play until she is done explaining the day’s lesson. Mohammed has a strong desire to learn and excels in school, as seen by his high performance in English class, where he understands the language well. However, being in the classroom is not all that refugees need in order to feel normalcy. Despite his academic struggles, Mohammed’s Greek classmates make his time in school more enjoyable. They urge him to speak Greek instead of defaulting to English, their common language. During class, his peers whisper translations to him when instructions to complete tasks are performed by everyone but him. Along with the encouragement of his parents, his strong social network helps Mohammed stay motivated to attend school daily. Mohammed understands some students are open to interacting with him despite his different religion and background while others keep to themselves and have not said a word to him since the beginning of the school year. 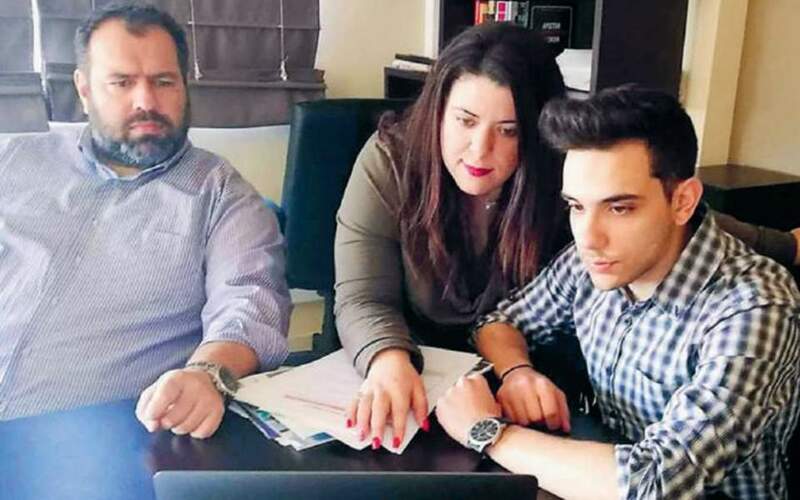 His goal to be friends with everyone in the classroom and provide a positive example for refugees in Greece will only be achieved once his grasp on Greek language and culture is satisfactory. Ahmed, 12 years old, attends a special needs school. Although he has been going to school for two years, he has yet to learn how to write his name. 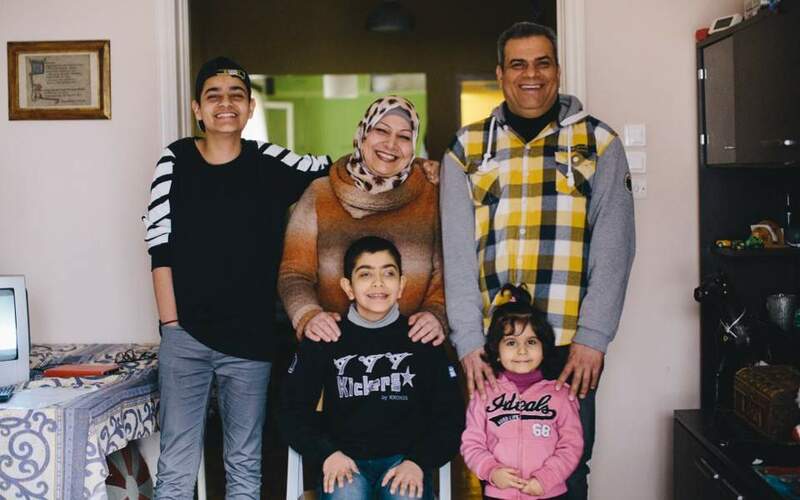 The learning curve for Ahmed is twice as steep, given his congenital neurological disorder, which makes even learning his native language, Arabic, a challenge, let alone learning basic Greek. 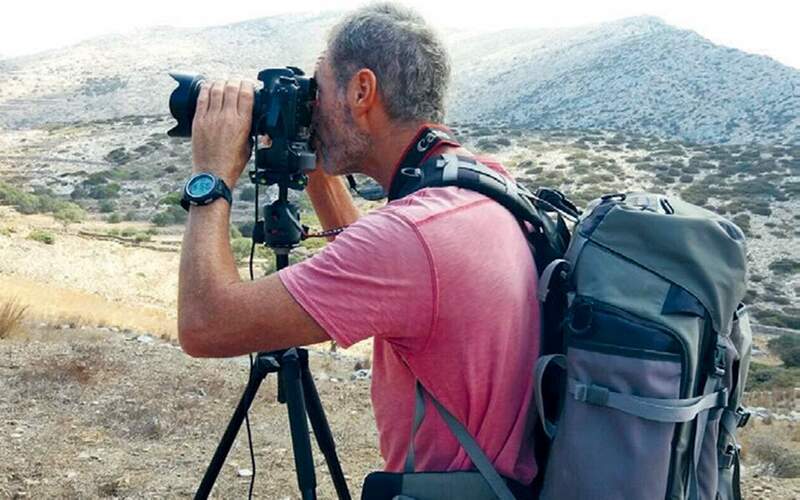 Previously in a wheelchair and unable to walk, since coming to Greece, his physical health has improved tremendously, and his parents hope his neurological health will improve too. Ahmed has a difficult time in school, yet his parents do not let his inability to learn in the classroom stop them from creating learning materials for him in their Athens apartment. Every day after school, there is “YouTube time” in the Delfe household, when the three children go on the site and watch language videos in English and in Greek to learn material they were supposed to learn during their school day. Roukaya, the youngest child and the only girl in the Delfe family, attends kindergarten. She is learning at an incredibly fast rate. It is easier for her as she is younger. Roukaya’s teacher fills her day with songs, playtime and activities that make learning Greek fun. Her vocabulary is growing quickly. At times, Roukaya helps Ahmed with pronunciation of basic Greek words as they sing the songs she learned that day. Roukaya’s classmates go home to Greek-speaking families. 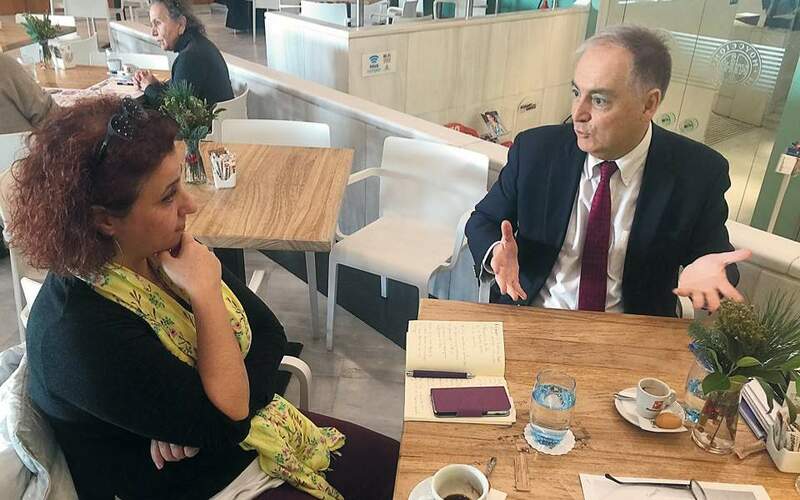 Wassmiya and Emad speak to their daughter in Arabic at home to help her to learn their language too, and give her opportunities to listen to Greek songs and videos to ensure both languages are learned simultaneously. The push for formal education in Greece by the Ministry of Education, while focused heavily on children in primary and secondary education, leads to the neglect of adult education – arguably those who need it just as much, given their likelihood of finding a job and supporting their families once outside aid ceases. Although some NGOs like ELIX, Metadrasi, Khora and Caritas Hellas, to name just a few, do provide informal classes to adults, many of these classes include students with mixed abilities. Without a properly trained teacher, this setup tends to stunt the rate of adult learning. Emad attended beginner Greek classes for six months, but he still cannot have a basic conversation in Greek. He spent over an hour on public transportation three times a week to attend every class. Emad lacks a higher education and did not attend high school during his time in Syria and Iraq, which has created learning challenges for him on his journey to learn how to read and write a new language. 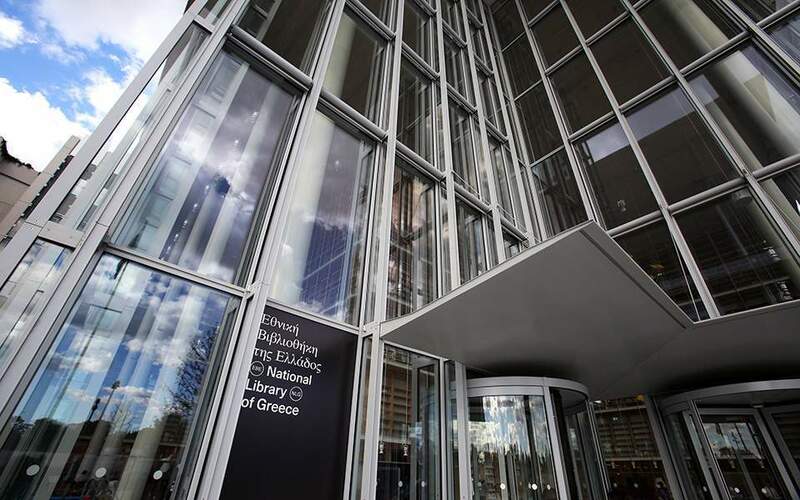 Additionally, many classes – like the one Emad attended – are taught in English, making it difficult to learn Greek without a basic understanding of English. At the culmination of his Greek class, he was awarded a certificate proclaiming his proficiency in the Greek language. He feels he didn’t deserve it and is doubtful that he will ever be able to learn Greek and integrate fully into Greek society. Wassmiya tried to attend English and Greek lessons for several weeks, but the upkeep of her duties at home and supporting her children after they return from school made it impossible to continue attending night classes. There are several reasons that keep refugee children out of Greek schools. The most widespread of these include the language barrier between teacher and refugee student and their capacity to succeed within a foreign academic system. The stress and trauma of their current and past life also lead to poor concentration and high dropout rates after enrollment. These reasons result in many refugee children being kept out of or unwilling to enroll in Greek schools. However, despite the language challenges and post-Syrian and Iraq war trauma, Wassmiya and Emad have a heightened interest in their children’s education. Whether Greece will be their home temporarily or permanently, if a school is available for their children, then attendance is a must. They display a vehement desire to be more connected to school culture by attending events and meeting teachers in order to track their children’s progress. Reaching this goal of transparent interaction between teachers and parents to help reconcile situations such as the one that occurred with Mohammed and his classmate seems distant yet achievable with more resources for open communication such as interpreters and counselors. Currently, Emad and Wassmiya want their children to make the most of educational opportunities while avoiding confrontation or retribution. While the integration of refugees into the formal education system is not easy, the Delfe family stresses the importance of education as a means toward full integration into Greek society, despite the myriad challenges that deter many other refugee families from sending their children to school. Yet the positive efforts of refugee integration into the formal schools provides education for not only the refugees but for Greek students as well. Mohammed does not speak Greek fluently but has learned to understand when those around him speak negatively of Muslims and refugees. Mohammed confronts the girl who was speaking about refugees and explains how problematic generalizations are in hindering peace between groups of people before asking her to stop making assumptions about his people. His bravery and ability to explain in Greek show that he’s trying to integrate himself and to educate others about his situation. * Sara Abdel-Rahim is a Fulbright fellow in Greece. For more information on scholarships and the Fulbright program in Greece, go to www.fulbright.gr.